No-one does scary better than Warwick Castle, and this year they’ve really gone all out to create the biggest scare-fest yet! 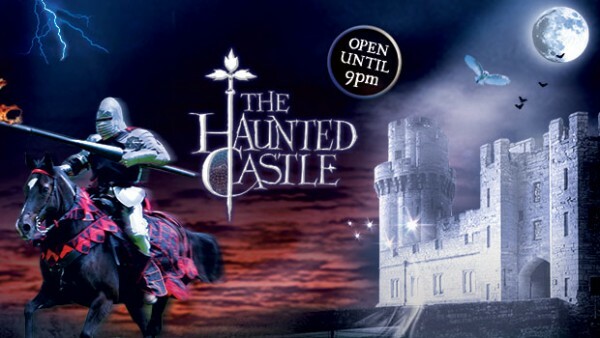 Leave the scaredy cats at home and grab a ticket to see all this and many more spectacular performances at the castle… if you dare? Proving you don’t need a roof to be scary, Kenilworth Castle ruins are doing their eerie best to offer a spooky alternative to Warwick’s indoor antics. Apparently some ghouls and ghosties find castles too obvious, they like to spend Halloween at more unusual haunts… like a casino! In the spirit of the best Halloween film ever (Hocus Pocus, dur!) 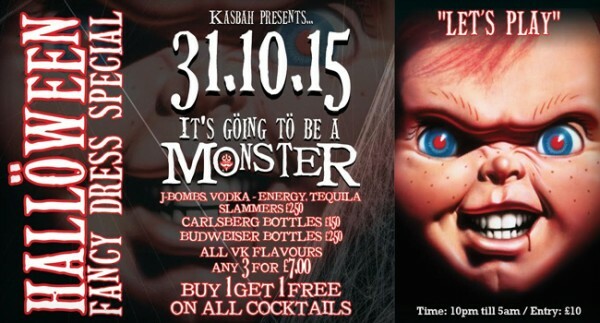 no October 31st is complete without a fancy-dress ball… or in Kasbah’s case, the dance of the dead! Assemble in a disorderly fashion outside the gates of hell for our annual dance of the dead. Witches, Ghouls, Ghosts and Goblins… a monster raving loony of all things party, charty and scaaaaaarily cheesy! The team behind Film 4’s ‘Frightfest’ have chosen to share six of the scariest films submitted to their FrightFest film festival earlier this year. The films are available to download from various platforms including iTunes, Google play and Virgin movies. A perfect excuse to stay in. Just make sure you have popcorn to throw at the screen and a cosy blanket to protect you from the scary bits… Find out more here!